Thanks must go to Jason, Nadia and Mel Attridge for sending this fellow down to me. I'm constantly amazed at the things he has amassed in such a short time in the show ring. From the moment he stepped into the ring he was awarded class in group wins and class in show wins. 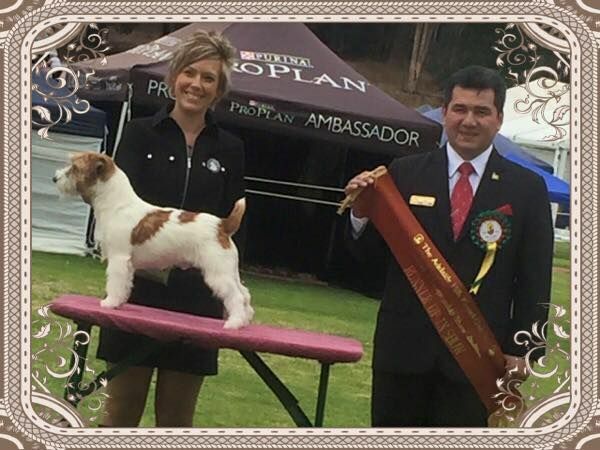 He was awarded a Best In Group two weeks into Minor Puppy Class under international judges. He has also won Best In Show at a Terrier Speciality and a Runner Up In Show at a Terrier Speciality. He has gone on to win Best In Show and Runner Up In Show at All Breed Championship Shows, All this at such a young age.